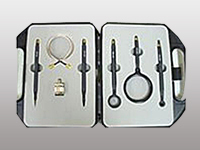 The probe set contains magnetic field probes for pre-compliance tests of printed circuit boards. Measuring the magnetic fields in the area of the module, conducting tracks, components and the modules of the supply system is the basis for selective measures to reduce disturbance emissions. 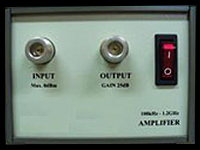 It is a necessary signal pre-amplifier for extending small RF noise signal, also provide a front end dangerous surge signal to direct inject into Spectrum Analyzer or Receiver to result in serious loss of the exorbitant test instruments. Engineer through this pre-amplifier and near field probes could very easy and quickly to get a clear RF noise status in the spectrum. That will be help to quickly solve EMI problems.